After being spread across the country for most of the year, the five members of Golden Gate Brass reunite in December for two unique performances in Melbourne. Earlier this year Golden Gate Brass received the Lorne and Ann Cole award that enabled them to specially commission a work by Australian composer, Alex Turley. This piece will be premiered on Thursday 20 December at 7.30pm at St Luke’s Anglican Church in South Melbourne. “It’s very exciting to have a work written especially for the group. We get to workshop and premiere a new work and it’s great to add a piece to the brass quintet repertoire. Golden Gate Brass first formed at ANAM in early 2017. Four members are from Perth and had been performing together for years in various groups. “We all ended up together at ANAM where we decided we wanted to form a quintet,” Michael said. Since then they’ve travelled to regional NSW with Four Winds festival, performed at a range of venues from concert halls to art galleries (and pubs!) and even played a rendition of Queen’s Bohemian Rhapsody with added percussion and Freddie Mercury inspired costumes. They’ve recently just toured to Perth as ensemble in residence at the University of Western Australia, performing their own concert, alongside workshops and performances with the students. 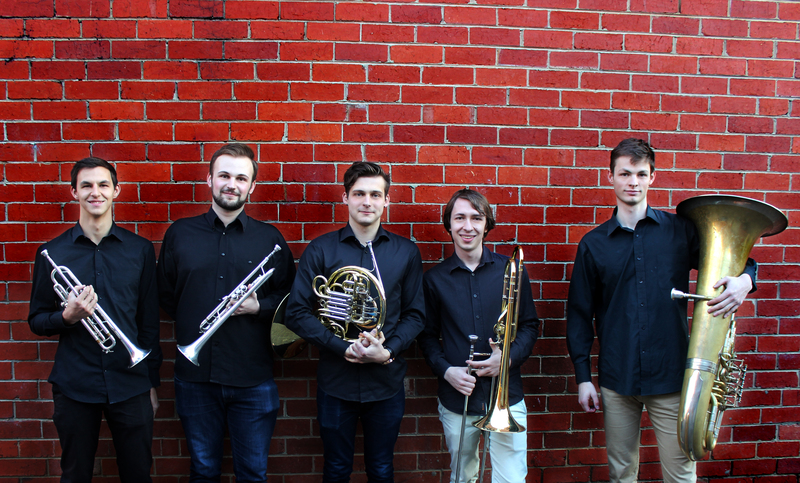 Golden Gate Brass is supported by the Lorne and Ann Cole Prize through the Ursula Hoff Institute and the Australian National Academy of Music.